Fairbanks, AK – Top Stories for Tuesday, June 15th. Join us Thursday, July 22, Pioneer Park, 6-10pm - Paul Burch knows his country music. He's worked with Owen Bradley, he recently toured with Ralph Stanley; he's a consultant and contributor to the PBS documentary series "The Appalachians", a history of mountain music due this fall. 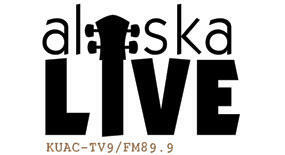 Tickets are on sale now at the Greater Fairbanks Chamber office and Hoitt's Music. Fairbanks, AK – Copper River Watershed Project director Kristin Smith talks with KUAC's Dan Bross about a new fishmeal plant in Cordova that will turn waste generated by the salmon processors into a marketable product. Fairbanks, AK – Researchers from the International Arctic Research Center and climbers from Japan are heading up Mt. McKinley for the third consecutive year to make repairs to a weather station located at 18,750 feet. The hope is to be able to consistently retrieve weather data in real time, and eventually save lives. Fairbanks, AK – A local DJ going by the call name "Spider Bui" celebrated Ronald Reagan's death on a KSUA radio show, specifically criticizing Reagan's foreign policies and his "homophobic" stance on the HIV/AIDS epidemic. Friday the student was fired from his job at KSUA, but college officials later rescinded that decision, saying it was too hasty. Fairbanks, AK – Top Stories for Thursday, June 10th. Fairbanks, AK – Today many of us know about the Bering Land Bridge, the expanse of land that connected Asia with North America during the ice ages. But what many don't know is that one scientist above all others is credited with puzzling out the mystery of how North America originally was settled in prehistory. Now Fairbanks writer Dan O'Neill has a new book that corrects that lapse. Robert Hannon talked with Dan about The Last Giant of Beringia. Here's Dan reading from the book. Fairbanks, AK – Most seniors want to live in their own home versus an institution, but the house they moved into thirty or forty years ago probably wasn't built with the elderly and frail in mind. KUAC's Kate Ripley recently spoke with Karla Zervos, owner of Lifespan Home Modifications in Fairbanks, about renovations that allow seniors to live independently for as long as possible. Fairbanks, AK – The Fairbanks School Board unanimously supported a handful of bond proposals Tuesday night that total more than 33 million dollars. The five bond questions address maintenance needs and the creation of a new district kitchen. As KUAC's Robert Hannon reports the bonds now go before the Borough Assembly where they will likely receive sharp scrutiny. Fairbanks, AK – Top Stories for Tuesday, June 8th.